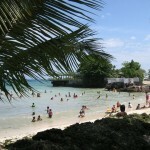 Cebu is extolled for its magnificent beaches. Whether you’re traveling for business or for pleasure, your Cebu trip won’t be complete if you don’t visit one of its refreshing beaches. And when it comes to resorts, Cebu has a pool to choose from. 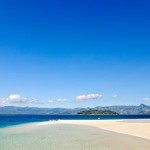 This article will help you find a resort, listed in no particular order, should you visit the beautiful island of Cebu. Away from the crowd, Alegre Beach Resort in Sogod, Cebu has to be one of the fine examples of best resorts in Cebu’s north. Located some 80 kilometers from Mactan-Cebu International Airport, Alegre Beach Resort is exposed to fresh ocean air and is set as one expects from a five-star resort. It has spacious rooms with huge bathrooms, great view, and has three private beach coves. 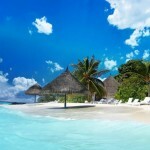 This beach resort is perfect to enjoy your holiday in Cebu. 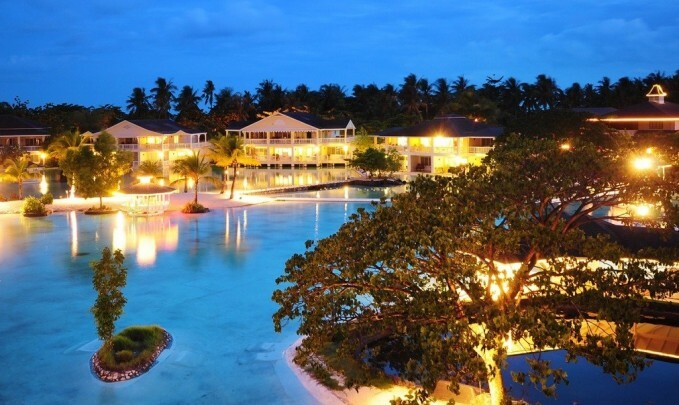 If you’re after luxury, then Plantation Bay Resort & Spa in Mactan Island might be for you. This resort is made up of man-made lagoons surrounded by comfort villas. 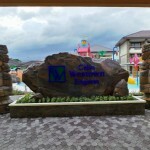 It is set on secluded grounds, one hour from Cebu City, away from city life’s pressures. A tropical paradise in Lapu-Lapu, Cebu, this resort has admirable sights, sounds and life all around. 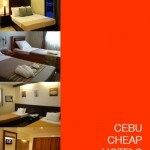 This is one of the premier five-star resorts in Cebu. It is one of the largest resorts and the hotel has won many local and international awards since its opening. This resort is the closest thing you’ll get to luxury on the island of Camotes. 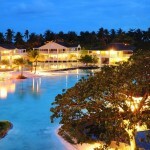 The resort has its own great beach as well as an infinity pool, which is the only in Camotes. An engaging and friendly staff makes this resort stand out. Kota Beach Resort is located in Bantayan Island, Cebu, and is known for its white sands, curved shoreline and affordable accomodation. The resort offers boating and kayaking, as well as massage and reflexology services. A few hours south of Cebu City and a ten-minute boat ride will get you to this island. The resort doesn’t just offer it’s visitors great swimming opportunities but also luxury camping. If you want an eco-friendly but glamorous camping, Bluewater Sumilon Island Resort can offer that to you. This resort in Mactan, Cebu is popular with the Asian market. Though the beach is slightly average, the swimming pools and the chic elegance of their hotel will make your holiday as grand as possible. This is a resort development on the east coast of Mactan Island. 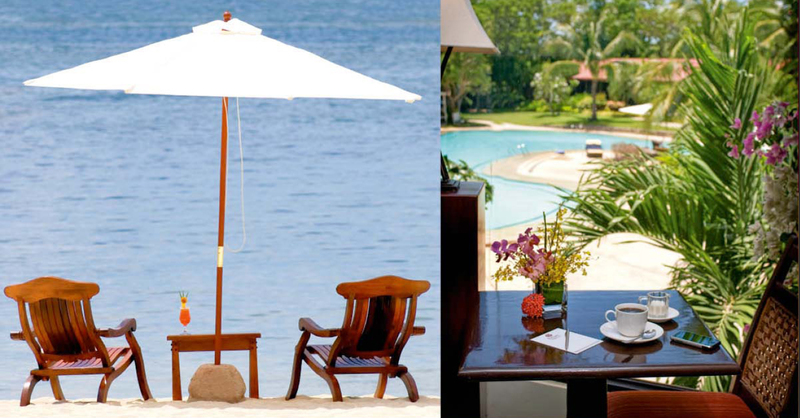 While not as grand or expensive as a lot of resorts in Mactan Island, this resort gives you a more laid back feel. It has great pools to enjoy swimming and rooms are large and clean. 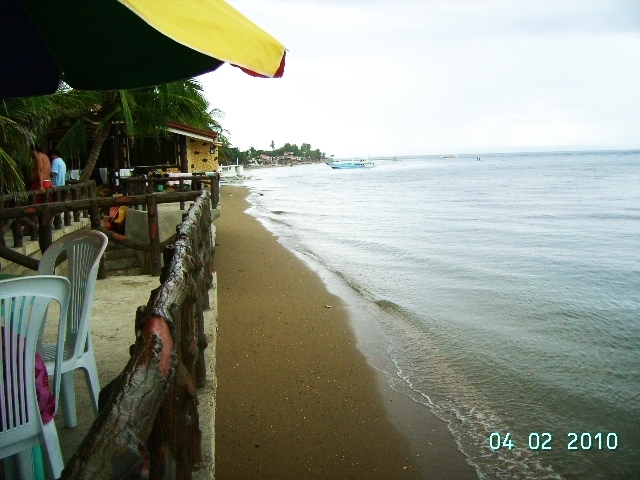 Kalumpang Resort in Argao, Cebu is a popular place for gatherings and events. Aside from catering social events and other functions, this resort also provides day tour packages for group activities upon request. This resort in Daanbantayan, Cebu offers an awe-inspiring underwater experience. You can go snorkeling and watch school of sea animals habituating the coral reefs. Or you can choose to just relax and enjoy their excellent facilities.